Andy Lang was born in the north west of England in 1965 and worked in the early years as an engineer in an agricultural manufacturing company. Moving from the United Kingdom in the late 1990's he subsequently spent many years in the entertainment industry in Cataluña, Northern Spain and property sales in Andalusia, Southern Spain. 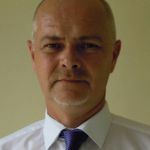 After several years working as an Independent Financial Adviser in East Africa he now writes full time. Over the years he has traveled extensively and has lived in Spain, the west of France, Brazil, Kenya and South Africa. He currently lives with his wife and their young son in Uganda. Published works to date include the International Bestselling novel - Traffik: The Stolen Girls (Top 100 Bestseller in Men's Adventure / Action & Adventure - Romance on Amazon.com and Amazon.co.uk), plus The Fountain of Saba, Tokoloshe, The Red Trade, Finding Justine, Peninah's Passion, Harvester 7 and Gondell's Quest - Destiny (Book 1). Gondell's Quest - Book Two did not hit its pre-orders goal. An unlikely Hero. A Sword of Power. A race against time. Long before the dawn of man, peace reigned in the world. True evil did not exist. Or so it was thought, for the ancient evil had been defeated. But even the wisest can make mistakes, for a new darkness from the north began to spread across the land, insidiously, secretly, a dark and terrifying leader rising from the ashes. Gondell Lenzen had never considered himself special or important, an ordinary Gnome, leading an ordinary life. Yet, a hidden and long forgotten family heritage drew young Gondell into a chain of events that would bring thefree world to the brink of disaster. group. Elf, Ogre, Dwarf and Nymph partner with a Ghul, a desert demon in a desperate race. A race that they cannot afford to lose. An epic adventure into the world as it was before the rise of man. A story that races from deep and inhospitable deserts to the frozen lands of the north, from the high seas to the highest mountain peaks. A titanic struggle between the forces of good and evil. A story of friendships forged and loyalty won, strategies revealed, deception, fear and doom. Gondell's Quest - The Sword of Kalenzi is the second part of a currently published story. A novel that is being well received, and reviewed favourably. When in the mood for an epic fantasy read, I expect to be taken away, absorbing every detail as if I were there. I love a lengthy well-written adventure, the kind that you simply can't put down even though you have things you should be doing. Everyone loves a good adventure and Gondell's Quest delivered and then some. He is a predictable little gnome,content to go about his life fishing and living a quiet life, never expecting his existence to be of importance to anyone. It is his desire for fish that leads him down a path he didn't expect. Gondell is surprised to learn, via a naughty little fairy, that he is the keeper--the key to winning an impending war. It was nice that the hero in this story is a gnome and not the usual elf or fairy and there were several different creatures that were new to me. The Guild, an unlikely combination of Elf, Ogre, Dwarf and Nymph partner with a Ghul, and race to rescue Gondell from the clutches of the dark Lord as they struggle to maintain good over evil. The character development is impeccable and gives the reader insight into the characters intentions, emotions and thoughts. You won't get spoilers from me...you just have to read to find out. Overall I give this book an easy five stars, for many reasons: the story and character development were on par with what I expect from an epic fantasy--to be engrossed in every aspect of the adventure, the story-line was extremely well-written and professionally presented, and even though it was a long read, the mystery kept me turning the page and left me wanting for more. This book had me from the second I previewed it and it is representative of such great adventures as what Tolkien brought to us. It is exactly the type of read you would snuggle up with on a cold winter night and I will most likely read this book again and again. I look forward to reading the second part of Gondell's Quest and learning how it all plays out. mythological and magical creatures, and introduces a few new surprising champions. No-longer is the battle between good and evil restricted to elves and goblins, dwarves and orcs. Wonderfully deep and descriptive, the author develops and captures the emotions and feelings of the characters, their joy and despair, fear and courage, their strengths and frailties. This is a lengthy book to be sure, but that is the greatest joy because despite the hefty word count, it will leave you wanting more. So why am I seeking funding? The publishing business is tough... we all know this to be fact. And it doesn't matter how great or well written a book is, if no-one knows it exists! Now, I will freely admit that I am not the most advanced social media user, I don't have thousands of followers on Facebook or Twitter, but I do have a marketing strategy. I intend to promote via Bookbub, a targeted promo to 1,580,000 potential readers who enjoy books in the Fantasy genre (with sales estimated at 2000+ based on past promotions), in addition, I will conduct a series of social media blasts (via fiverr) to increase the number of page visits to the Amazon.com and Amazon.co.uk pages for Gondell's Quest to encourage not only sales, but higher promotion ranking by Amazon. A basic campaign of targeted Post Boost on Facebook will also help to raise awareness. I will also ask you to be a little proactive! Add me on Facebook, Twitter, Linkedin, Google+. Like my posts, re-share... help me to get the word out... it will be greatly appreciated. Although I have not been writing for very long (about fifteen months), my second novel, Traffik: The Stolen Girls has been a consistent Top 100 Bestseller on Amazon UK. Hopefully this performance adds credibility to my abilities as a writer. I do not intend to attempt to convince you to support this book by writing reams and reams of justifications. Rather, I invite you to read the sample chapters attached here, and you be the judge, you decide if this book deserves to get a break.